Serif is a Vietcetera project—with a games piece by the modern-industrial Vietnamese furniture firm District Eight. 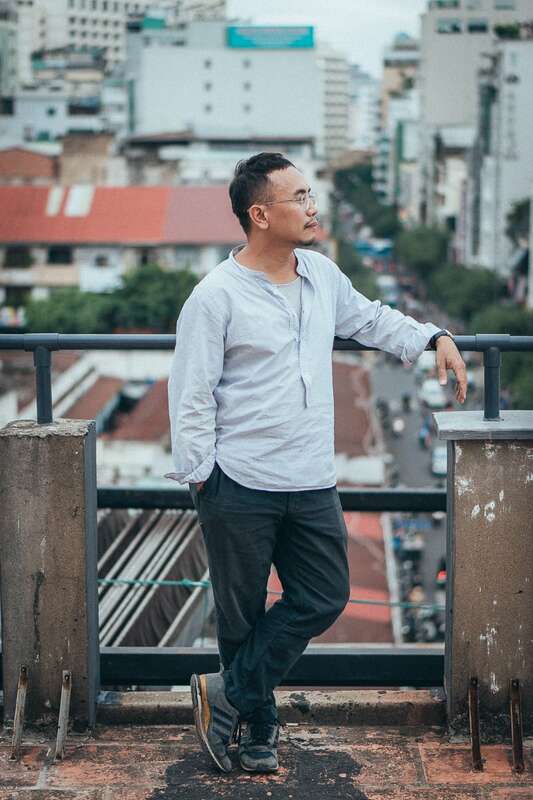 The rooftop space presents a view of the buildings that make up Ben Thanh Market that’s rarely seen. “Every project is different because the context and the people who will inhabit the space are different…and that’s always the starting point for us.” — Le Ha Hoang. The modern-industrial design—there’s lots of rusted steel, exposed plaster, and that functional, interactive District Eight ping pong table—developed from the architect’s vision that every project has a unique context that the design should assimilate into. “We don’t have a fixed style or a philosophy,” Le Ha explains about his ShapeUs Studio’s beliefs. “Every project is different because the context and the people who will inhabit the space are different…and that’s always the starting point for us,” he adds. 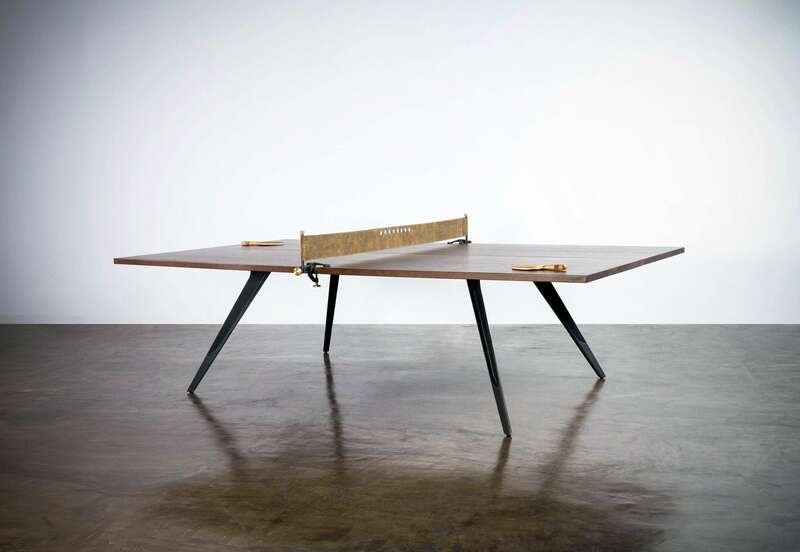 The District Eight ping pong table which converts into a conference desk. Serif is a multi-functional venue. 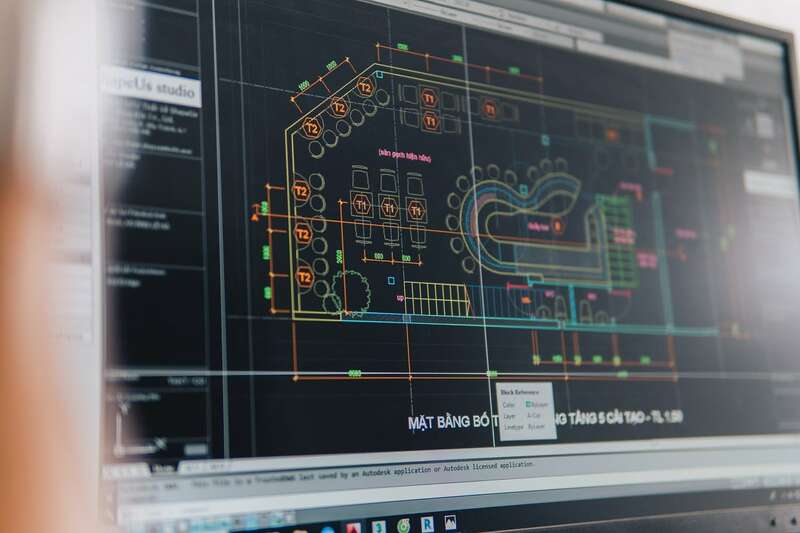 “Its purpose—thinking again about people being the starting point for the design—is to accelerate interactions,” Le Ha continues. “It would be perfect for a mini-conference about design,” he adds. 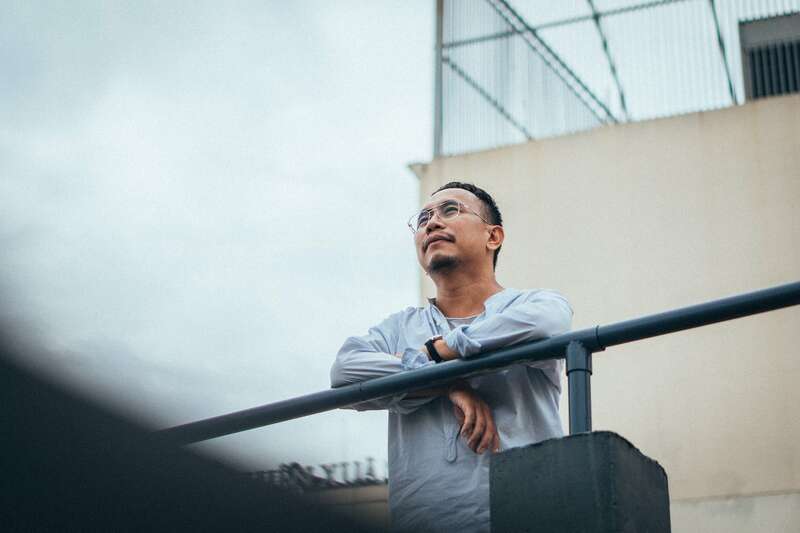 In fact, the space has already hosted international guests like Behance’s co-founder Matias Corea, who gave a talk on the rooftop, and local events like the première of Vietcetera’s short film about Saigon Ink tattooist Danis Nguyen. More recently, it’s also hosted the Domdom Popup Pub, an exclusive Fernet Hunter and Renkon night, and a rap conference by V.Sik. 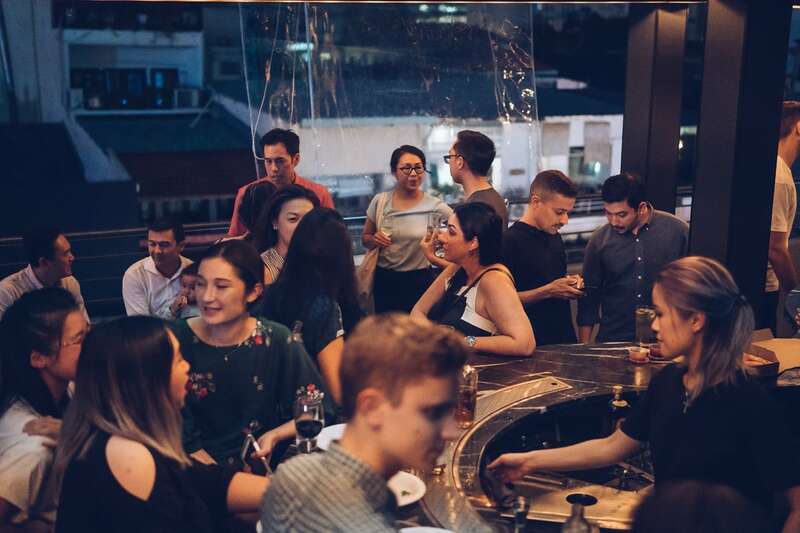 Inside, the second space is a high-ceilinged room that looks across to the alley that’s home to the first branch of the French casual-dining restaurant Cocotte, the vintage store Mayhem, and the mish-mash of Vietnamese restaurants and optical shops on that side of Le Thanh Ton. Its District Eight ping pong table converts into a conference desk—part of the furniture design firm’s trademark style of making games pieces that are visually appealing when not in use. “The table has a real presence in the space. It’s formal—when it’s set up without the hand-crafted and stitched leather net—or it can become informal when we put up the net for a game of ping pong,” the designer smiles. It’s a showy, attention-seeking feature that serves the practical purpose of stabilizing the structure. “All the elements are trying to show off, but at the same time they’re interacting and working together. And that’s what we want to happen in the space—for people to be themselves, but to interact, and be part of a whole,” Le Ha elaborates. Serif used to be a coffee bar on the roof of what was the Rice Creative office. 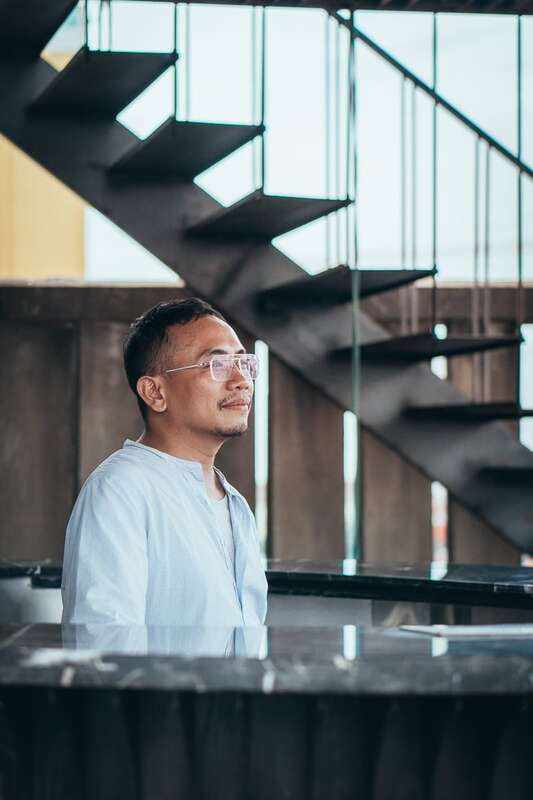 Once Rice moved to their new, larger, ground-floor location at 90 Nguyen Dinh Chieu, Vietcetera, and Le Ha’s ShapeUs Studio moved in—as well as guests like filmmakers Robin & Cako, and director of photography Ray Lavers. “Originally the coffee bar was housed in an enclosed square area,” the architect continues. “The first thing I wanted to do was take down the wall to reveal the whole structure. 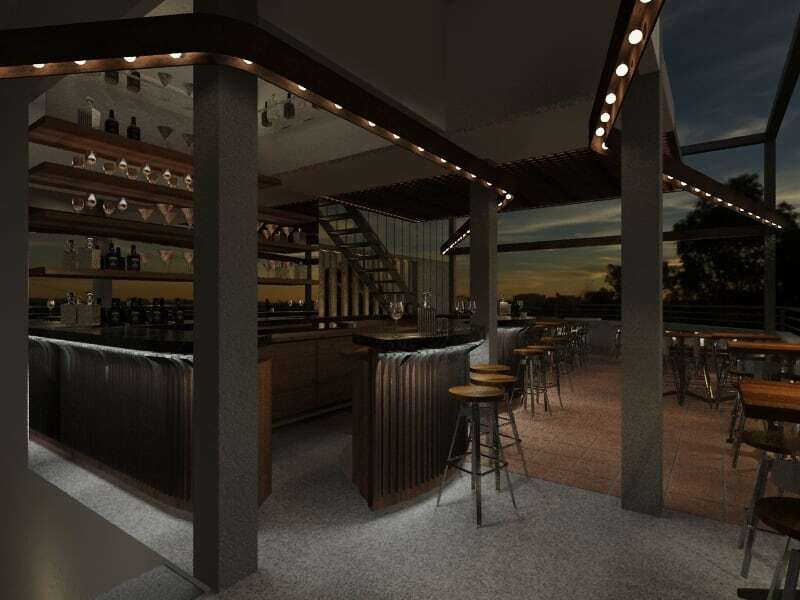 Then everything else flows and interacts around the space it revealed,” he says about the organic shape of the bar. Architect Le Ha Hoang designing Serif. The abrasive industrial steel fittings are offset by carefully positioned plants. The cacti in planters “that are exactly the size of the paving stones” are “like extrusions that go vertically upwards.” Even though, Le Ha admits, they’re not the most pragmatic choice of greenery for a bar. “People don’t usually put a cactus in a bar…someone might get drunk and fall on it. But it’s fine. To get a little hurt would be a fine reminder of a great night,” he laughs. And the name? Everything emerged from conversations with Rice Creative. They thought up the name and created the logo for Serif in response to ShapeUs Studio’s design. Joshua Breidenbach, creative director of Rice Creative, explains, “A Serif is a sculptural shape, an ending to a letterform. The forms of ShapeUs Studio’s work here conjured up the idea of for the name ‘serif’.” “It fits because this design was about using what we have and adding a little something extra to it—which gives it a completely different attitude and feel,” Le Ha smiles finally. You can find Serif online at Instagram and Facebook. For enquiries send an e-mail to hello@serifspace.com.